Via AdvHighLightLabel.Highlighting collection, the words to be highlighted can be added and for each word to be highlighted, a specific highlight color/textcolor can be set. 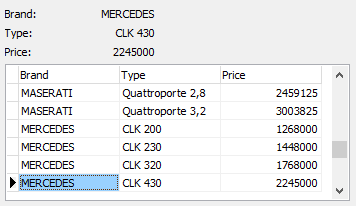 TDateLabel is a label component which displays and stores the date of the last form edit. 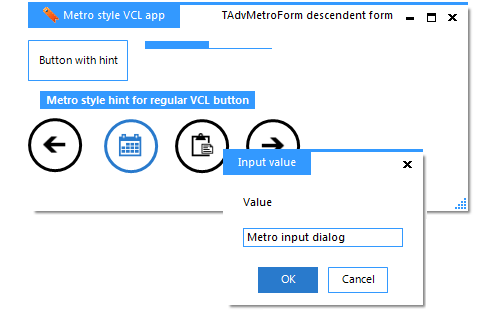 Can be used to automatically show the release or compile date of your software. The format of date and time can be set through the DateTimeFormat property. Source code is included. 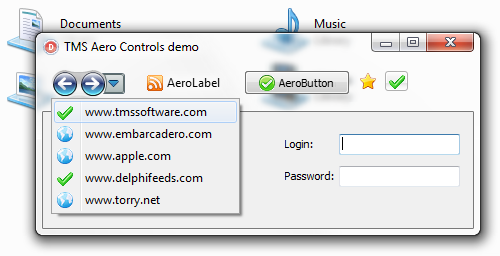 TRTFLabel is a label that has the full rich text capabilities. 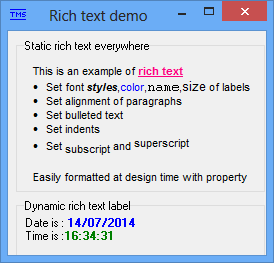 Rich text can be edited at design time using a built-in rich text property editor. 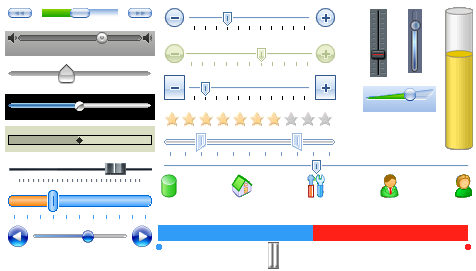 Standard or custom drawn tickmarks with support for image tickmarks, rotated text tickmarks etc..
TW7ToolBar: Toolbar that you can see in the top part of the Windows Explorer window. 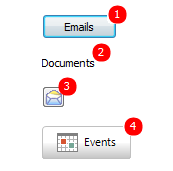 TW7ToolButton: Button located on TW7ToolBar. This button can be placed on any other object. TW7InformationBar: Panel containing any kind of information. 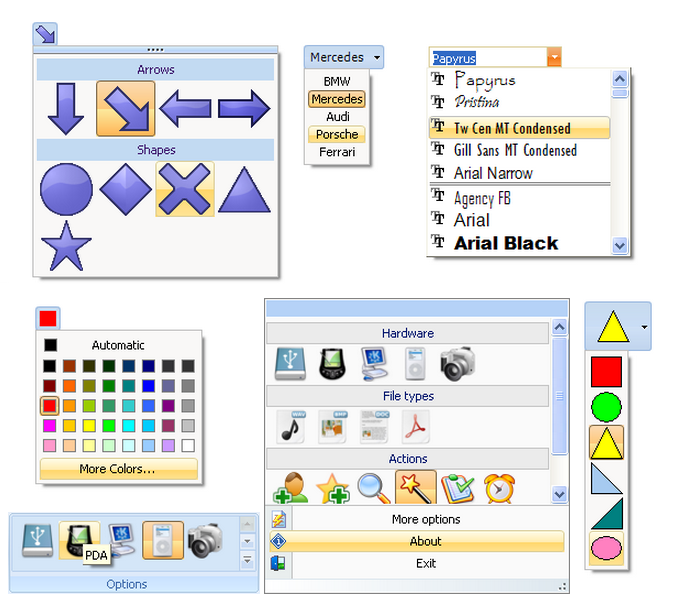 TW7PageSelector: These objects can be used as switches between different pages of your program. TW7ProgressBar: ProgressBar used for displaying the free disk space in Windows Explorer. TW7ActiveLabel: This object works best if used as a hyperlink or an internal link. 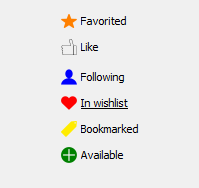 TW7ListViewItem: An empty ListView Item that can be used as a container for other components and can be placed on any object. 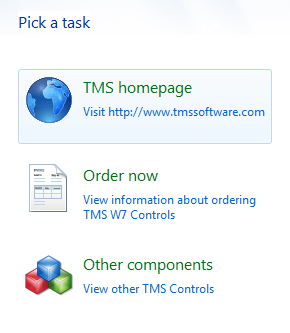 TW7TaskItem: Based on TW7ListViewItem, this component should be used for selecting a task that the user must complete. TW7NavigationButton: Button used for back/forward navigation. TW7NavigationFrame: Graphic object for framing TW7NavigationButton. TW7LeftPanel: Panel usually located in the left and containing links to additional actions. TW7CaptionPanel: Panel that usually contains a title and is located at the top. TW7SpeedButton:Button used, for example, in the Windows 7 calculator. 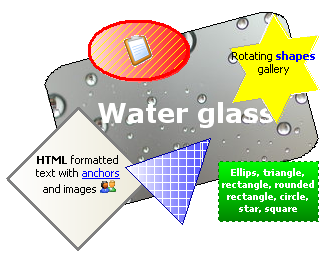 TW7Image: TW7Image is identical to TImage, but contains a number of useful properties. TW7Panel: Panel that has a number of styles, including the style of the digits display window in Windows calculator and iPhone style.